The human body has this amazing ability to heal itself. At any age and in nearly any state especially when given the right environment to do so. Our body will put up with a huge amount of silly movement and poor lifestyle choices for a long time because we have a large amount of functional tolerance built into us. However we shouldn’t abuse this high tolerance and instead, we should ensure we listen and take care of our body on a daily basis. Because those little signs and symptoms that do appear can turn into bigger uglier problems later on if not taken care of. Just as a tree molds to its environment over the years from the different weather patterns, so too does our body. So if that environment is creating niggles and imbalances, which you ignore and only fix the symptoms, it could continue to be an issue for much longer. 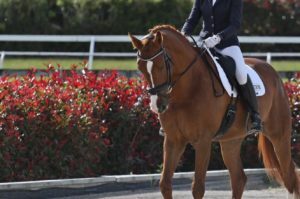 So given that we have this amazing body that can repair and heal itself with the right tools and environment it makes sense that we would want to pay attention to both areas when aiming to improve our rider wellbeing. These stretches and exercises are designed to help relieve lower back or hip pain, which is an incredibly common problem and often created because of the environment our bodies are placed in each and every day. So as much you want to do these stretches, pay attention to other possible changes you can make to your daily life. Such as when we sit this can be for long durations at a time and this can cause tightness in our hamstrings, shoulders, hip flexors, and compression in our lower back. To combat this, consider adding in more standing and walking into your day. Try this, for every 30 minutes of sitting you do per day, aim to do 2 minutes of walking or aim to spend 50% of your day on your feet, be it with a stand-up desk or walking meetings. When it comes to riding, you want to ensure you are sitting evenly in the saddle and that your spine is in neutral to maintain proper posture. Alignment matters when it comes to riding and this isn’t about just a pretty picture, its also about ensuring our body works evenly and optimally to prevent undue wear and tear. 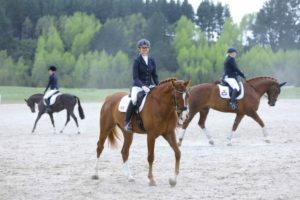 This is why when we turn up to ride we want to ensure we are doing our best off the horse to promote good posture because adding the horse’s movement and force to an uneven, unaligned body is that poor environment I am talking about. Your body may or may not put up with this for a while, but eventually, it will catch up and decrease those riding years. Taking care of your body today, allows you to continue to do the things you love for as long as you choose. Here are some fantastic stretches to help you do just that if you need options for each exercise be sure to watch the video where I demonstrate each one. This is fantastic for helping to relieve tension through the lower back and help to open up your hips. Have your feet together and your knees wide. Then sit back on your heels and reach your arms forward. Rest your head down and focus on your breathing. Aim to hold for 30-60 seconds. This is great for stretching into your glutes, piriformis, and lower back. This is great for helping to improve internal hip rotation and stretch into the glutes, lower back. Start by lying down on your back. Bend your knees and place your feet on the ground, hip-width apart. This is great for getting into your hip flexors as well as stretching out your piriformis and glutes. Seating evenly on both seat bones, with your legs crossed, lift your left heel and place it onto your right thigh with your foot flexed, then allow your upper body to tip forward with a long spine. If you need to you can sit on a cushion to lift your seat bones up off the floor and have your feet further in front of you. This stretch helps to get into the glutes, ITB and lower back. A stretch to get into your hip flexors and quadriceps. 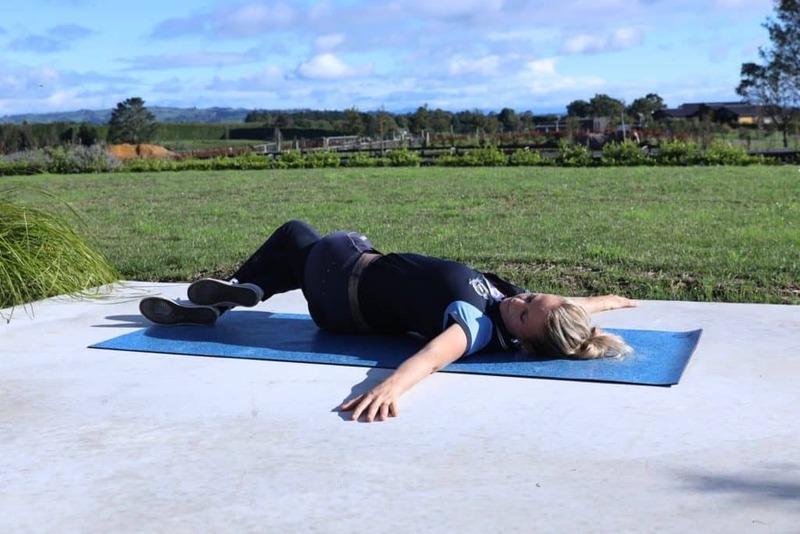 Our adductors can get tight as riders and this is a great way to open them up and get into your hip flexors and the same time. This helps open up the lower back and stretch the hamstrings. This stretch is for outer hips and the lower back. In a seated position, place your bent right knee on top of your bent left knee. Aim to wrap your legs as tight as you can and have your feet flexed. If you need you can sit on a cushion to prop the hips up and allow even weight on both seat bones. With your legs stacked, let your upper body fold forward and have your hands out in front.Aim to hold for 30-60 seconds. This stretch is great for opening up the lower back. On your back, bend your knees and draw them in towards your chest. Reach your hands on the inside of your thighs and take a hold of the outside edge of your feet. As you draw your feet down, think of pressing your lower back into the floor. Aim to hold for 30-60 seconds. Take a look at this video above as I demonstrate each exercise and guide you through the options and adjustments. Aim to do this regularly to help prevent any tightness in your back and remember to pay attention to other factors in your environment to. Riding isn’t just about the horse, we are a team and it makes sense that you want to pay attention to your wellness each and every day as much as you do your horses. Hope you find this useful and I hope it helps you to be able to enjoy your riding even more. To get more information and resources to help your riding, be sure to download our free guide. 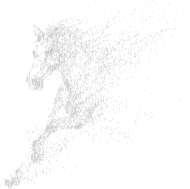 Then to take your riding to the next level check out our 12 Week Dressage Rider Training Program, specifically designed to focus on your posture and performance as a dressage rider. Learn more here.